I get a weird sort of ache this time of the summer. I realize it’s just about halfway over, and I feel a strange mix of disappointment and regret. This happens to me most summers. And most winter holiday seasons, coincidentally. I always try to take stock of what could be making me feel this way. After all, this summer I’ve been to the beach. I’ve been in multiple pools. I’ve seen my family and my friends. I’ve seen fireworks. I’ve heard great live music. I have eaten at least one hot dog, though no Maryland blue crabs yet to speak of. By all accounts, that’s a pretty killer summer, right? Only recently have I come to realize why I feel this way in the summer and after the holidays are over, and it’s making me think seriously about my priorities. The problem is, while these seasons are full of meaning, love, family and friendship, they might not always score high on the awe-meter. And, it turns out, awe is really important. I’ve been working on a really interesting project for the past few months. The basic thrust is that a major global corporation wants to open up its senior leaders to new mindsets to keep pace with a rapidly changing world. They want to help them “unlearn” old ways of thinking and spark new ways of thinking. And they are turning to art, architecture, nature, design and music to do so- all things strongly associate with awe and wonder. Like most of what I work on these days, I am not an expert in these topics. But, (also per usual), I have loved diving in deep to see what I can learn. Newborn babies and childbirth are both often cited as producing awe. I agree. I think I’m in awe of awe. Is that possible? When you think of a time when you experienced awe, what pops into your mind? Is it a place? A person? 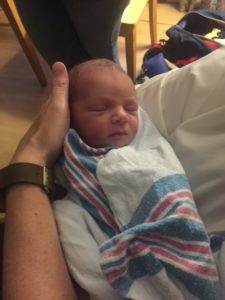 My awe moments are pretty much all related to nature or travel, but there are some newborn babies in there, too, some art, and some acts of super-human athleticism or heroism. It turns out that while these all seem like really different experiences, they share some important qualities. 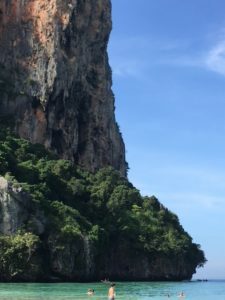 The swimmers provide the scale for how massive these cliffs in Railay Beach, Thailand are. I was in awe. The way awe is described in research has to do with vastness, or perceived vastness. To experience awe, you must have the sense that you’ve encountered something immense in size, number, scope, complexity, ability or social bearing. And, that experience must result in a new understanding of the world. It must so fundamentally change what you thought to be true that your brain has to come up with a new explanation for the thing you’re seeing. Awe actually changes your mind. It can even make you believe you have more time to do the things you want to in life. Here’s a famous example. After unsuccessfully working on a cure for polio, Jonas Salk retreated to a monastery in Umbria, Italy to clear his mind. 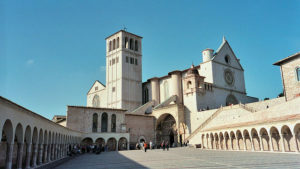 As neuroaesthetics would tell us, the monastery’s repeating geometric patterns of white stone may have induced a pleasure response in his brain, and its tall Romanesque arches likely enabled more expansive thinking. The natural hillside setting lowered his cortisol levels and quieted his mind. And that’s when he broke through and came up with the vaccine that would save millions of lives. He would tell this story for the rest of his life—something about that place and that environment opened up a new way of thinking for him. Awe expanded his mind. There are similar stories related to awe-induced breakthroughs or paradigm-shifting discoveries from Darwin and Einstein. And, there are similar stories about breakthroughs happening in dreams, showers or on long walks. So, maybe we should do more of those things, too? One way that awe differs from clearing your mind in other ways is it actually might make you a better human. (Showering just makes you a better smelling human). Awe binds us to social collectives and makes us remember that we are just small parts of a bigger living whole. Research shows that people who have recently experienced awe don’t just have bigger, better ideas, they are actually kinder and more generous to other people. We’ve actually evolved to be this way—people who experience awe are more likely to collaborate and enable strong groups, increasing odds for survival in our primitive days, but even extending lifespan today. 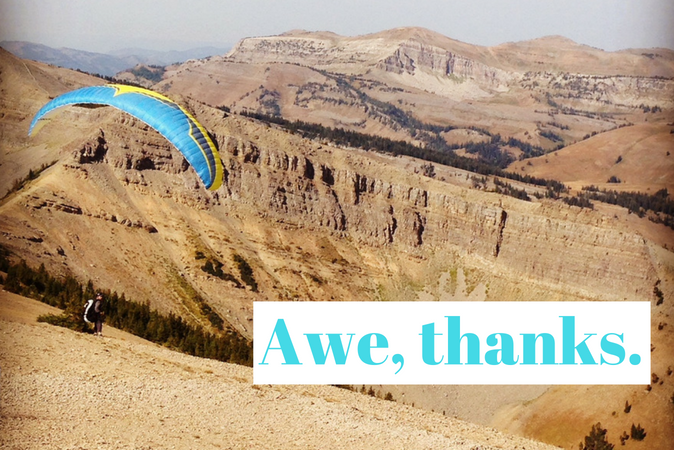 As if you needed more of an excuse to go awe-spotting, awe is good for your health, too. One study showed that compared with other positive emotions, only awe and wonder were associated with a reduced level of cytokines in the body, the proteins that trigger an inflammatory immune response. While cytokines are important, too many can lead to chronic health issues such as heart disease, Type-2 diabetes and even Alzheimer’s. 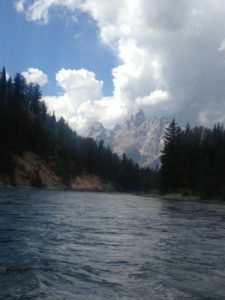 The Grand Tetons, and national parks in general, seem to be my most treasured awe spots. So, I think these feelings I get are some sort of awe deficit. It’s not that I don’t find awe in everyday life—I do. It’s that I know that, for me, there is something special about a big grand vista and a new experience. Being barefoot on cool grass in a forest. Catching a big fish on a clear mountain lake. Watching a whale breach in the Pacific. Finishing a harrowing hike at the peak. Being the only person for miles around. Of course, my brand of awe deficit is a privileged one. My neighborhood has grass and trees, flowers and birds. It has murals and museums and rich culture. I am highly mobile—I can leave my home, city or state whenever I want. I have access to images, stories, films and other media from all over the globe. The reality is, I can conjure up awe fairly easily, and many people simply can’t. The home for awe research is the Greater Good Science Center at UC Berkeley, and they’ve done some early work with awe and middle schoolers from disenfranchised communities and military veterans who may be experiencing PTSD. It seems that awe, such as a first whitewater rafting trip, can reduce the symptoms of PTSD and lower stress in those populations. 1) I am really fortunate to have so much awe in my life. 2) Awe is necessary, not a luxury. 3) If awe makes us better people, we should all work to distribute it more equitably. “We believe that awe deprivation has had a hand in a broad societal shift that has been widely observed over the past 50 years: People have become more individualistic, more self-focused, more materialistic and less connected to others. To reverse this trend, we suggest that people insist on experiencing more everyday awe, to actively seek out what gives them goose bumps, be it in looking at trees, night skies, patterns of wind on water or the quotidian nobility of others — the teenage punk who gives up his seat on public transportation, the young child who explores the world in a state of wonder, the person who presses on against all odds.